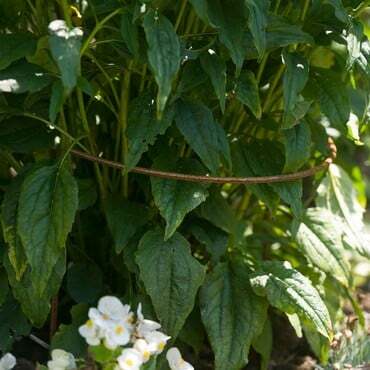 The pick of our favourite plant supports - 10 supports that not only provide great support for flowers, plants and shrubs but look great in the garden too. 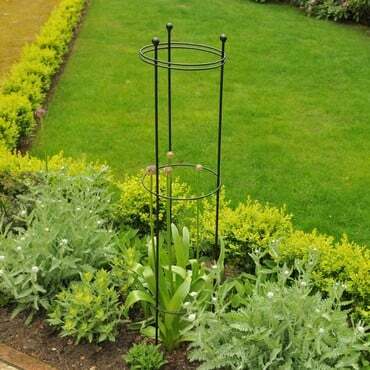 Designed and manufactured in the UK the plant supports and stakes are made using high quality materials and come in a range of finishes to suit any garden scheme. All the supports come with a 5 year structural guarantee. 1. 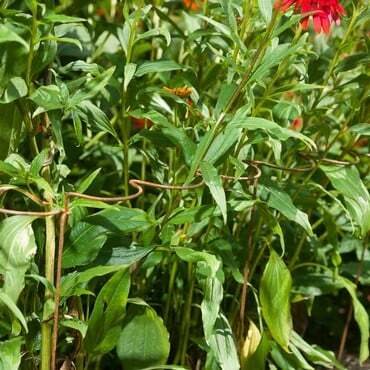 Trumpet Peony Plant Supports - Ideal for peonies, but can be used with lots of other flowering plants such as tulips, alliums, delphinium, lupins and more. Distinctive trumpet design makes a real statement in the border, available in matt black, lichen green, silk grey and natural rust finishes. 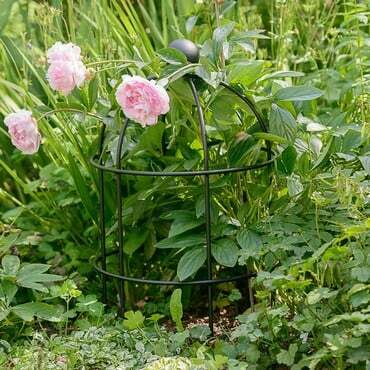 Made using strong 8mm round steel rods, the peony supports come in a range of sizes to suit individual plants. 2. 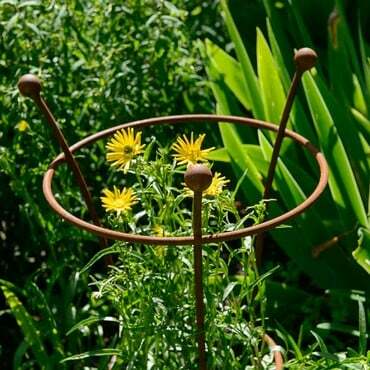 Lobster Pot Plant Supports - Perfect for dahlias, roses, peonies and other herbaceous plants. 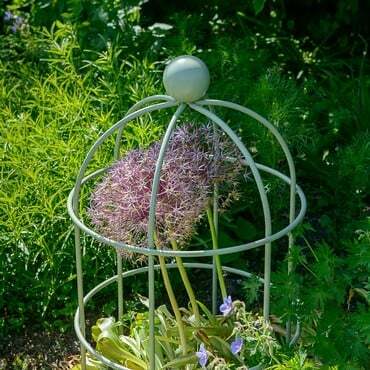 Stunning lobster pot design with attractive ball finial on the top of the support, available in matt black, silk grey, lichen green and natural rust finishes. 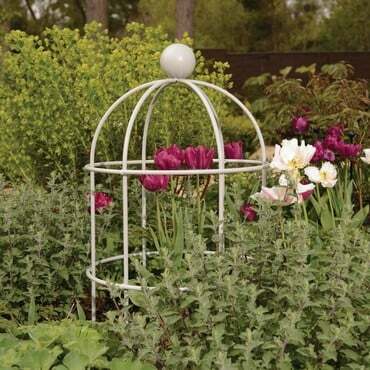 Designed using strong 8mm solid steel rods, these supports look stunning in the border and really are made to last. 3. 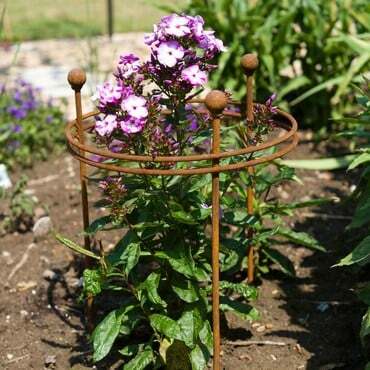 Circular Plant Supports - Available as short and tall versions the circular supports are suitable for a wide range of plants including campanulas, agapanthus, shrub roses, dahlias, delphiniums, foxgloves and more. 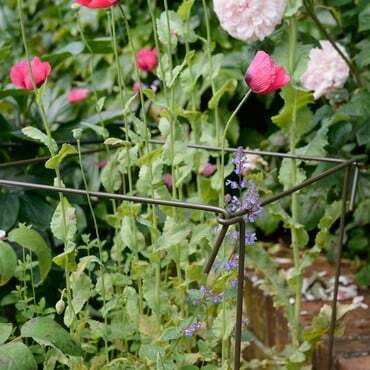 Made using strong 8mm solid steel rod, the supports add structure to borders and will suit any garden in contemporary matt black finish or traditional natural rust. 4. 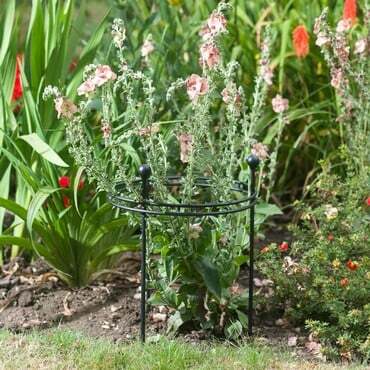 Link Stake Plant Supports - Available in curved arm, straight arm or scalloped arm versions, these useful plant stakes have been a best seller for many years - perfect in borders to support a wide range of flowers, plants and shrubs. 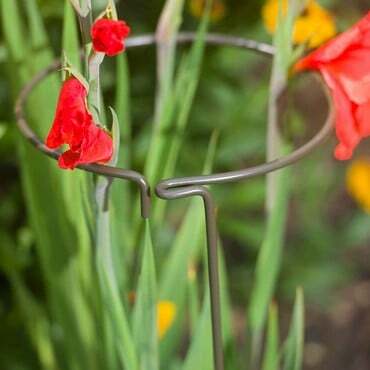 Made using 6mm steel wire carefully shaped into each design link stakes are available in a dark olive green powder coat finish or plain steel that develops an even rust patina over time. 5. 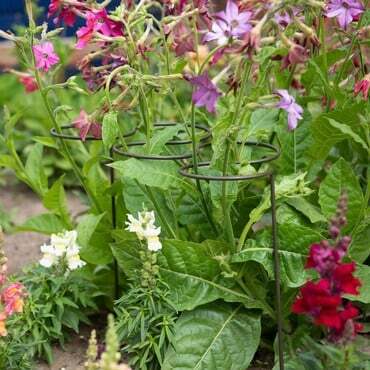 Y Stake Plant Supports - Useful supports with flexible arms which can be adjusted to support a wide range of plants and flowers. 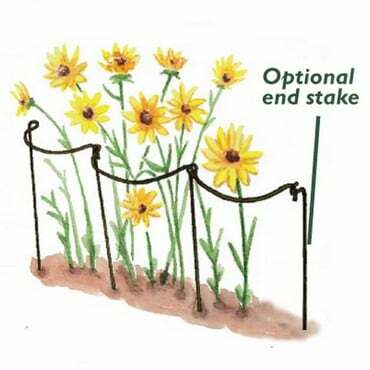 The durable 10mm diameter dark olive green powder coated aluminium tube stakes easily into the ground and the discreet 3mm thick flexible wire arms are easily shaped for customised plant support. 6. 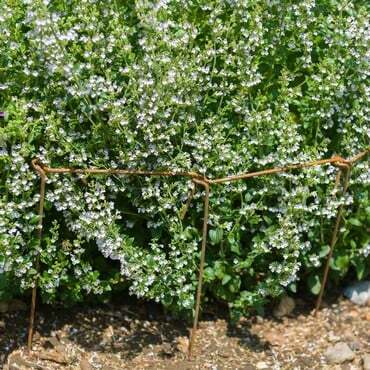 Border Restraints - Ideal for keeping pathways and borders clear the restraints come in curved and scalloped designs. 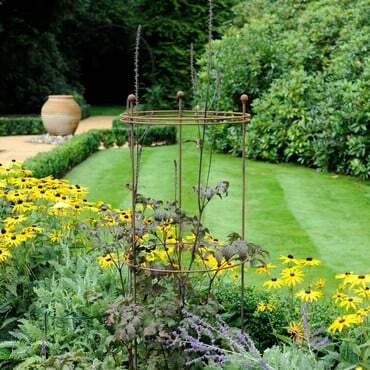 Made using 6mm thick wire with the choice of 2 finishes; powder coated dark olive green to merge seamlessly into the planting or plain steel which quickly develops an even rust patina for a traditional look. 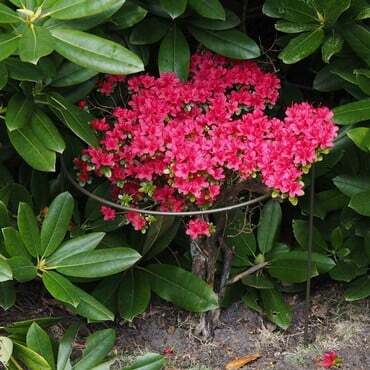 These strong supports will prevent larger plants sprawling across paths or swamping lawn edges. 7. 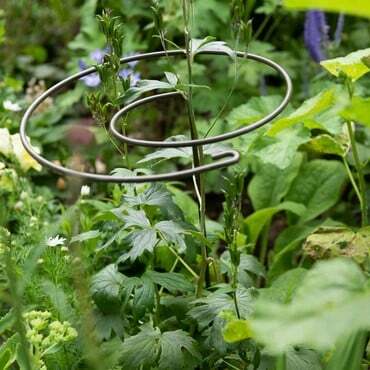 Flat Top Spiral Supports - Designed to simply twist around plants to offer support, these clever supports are made using strong 6mm thick steel rod which is either powder coated dark olive green or supplied in plain steel to develop a rust finish. 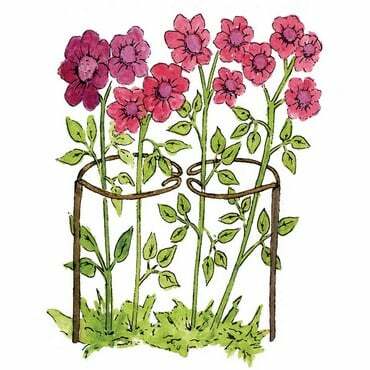 These supports are ideal for asters, lupins, cornflowers and smaller peonies. 8. 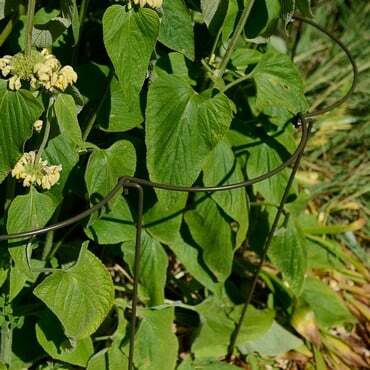 5 Ring Grow Through Supports - Creates an interesting shape in your planting, great for supporting shrubby flowers like zinnias, salvia and poppies with the larger supports perfect for mature peonies and rudbeckia. Available in either dark olive green powder coated finish or natural rust finish, these attractive supports use strong 6mm thick steel wire. 9. 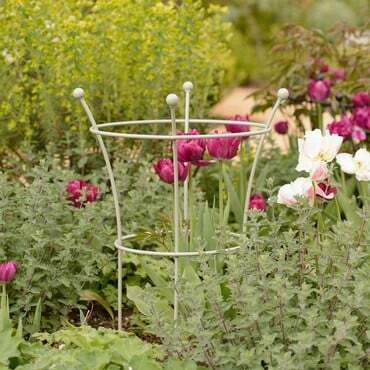 Stem Loop Plant Supports - Designed to support single stem plants often grown as free standing 'forest' arrangements such as irises, tulips, alliums and delphiniums. 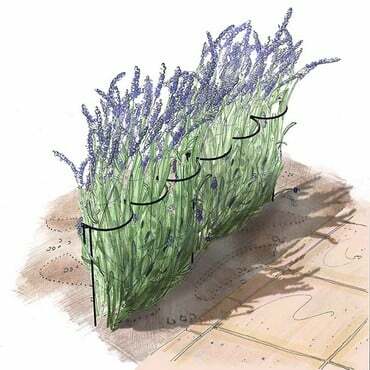 Using sturdy 6mm steel wire, these supports have a 15mm gap to allow the single stem to pass through. Available in dark olive green powder coated and natural rust finishes the supports are supplied in packs of 6. 10. 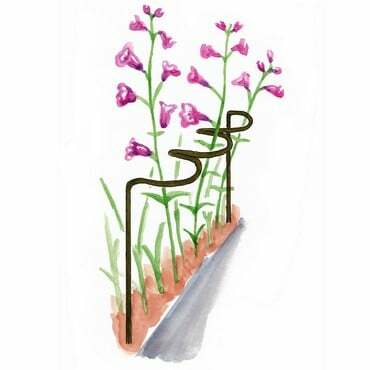 Releasable Plant Supports - Captures multiple stems of plants such as lupin, gladioli, foxgloves, lillies and verbascums that are grown in groups. 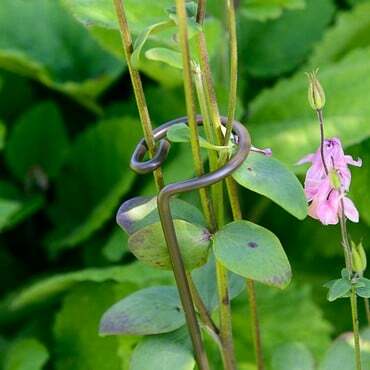 The quick release ring allows you to add support anytime during the season without damaging stems. 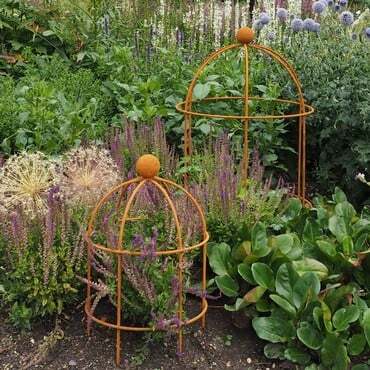 Supplied in sets of 3, the supports are made with 6mm thick steel wire which is either powder coated dark olive green or left natural to develop an even rust finish. 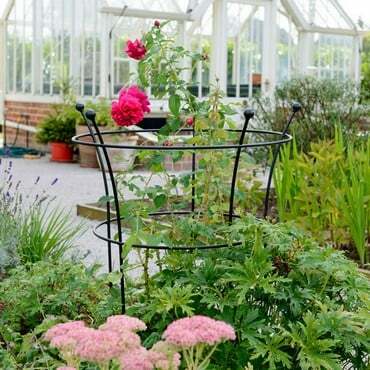 We hope this guide gives you some insight into our range of plant supports, why not have a look through the entire range and find that perfect support for your garden plants and flowers.